8/21/16 Update – The Western or Boreal Toad is now considered near threatened worldwide (see this link). The chief cause is HABITAT DESTRUCTION. One of the unique biological wonders of the Donner Summit Valley is the prolific breeding season of the Western Toad (Anaxyrus boreas) in Van Norden Lake. 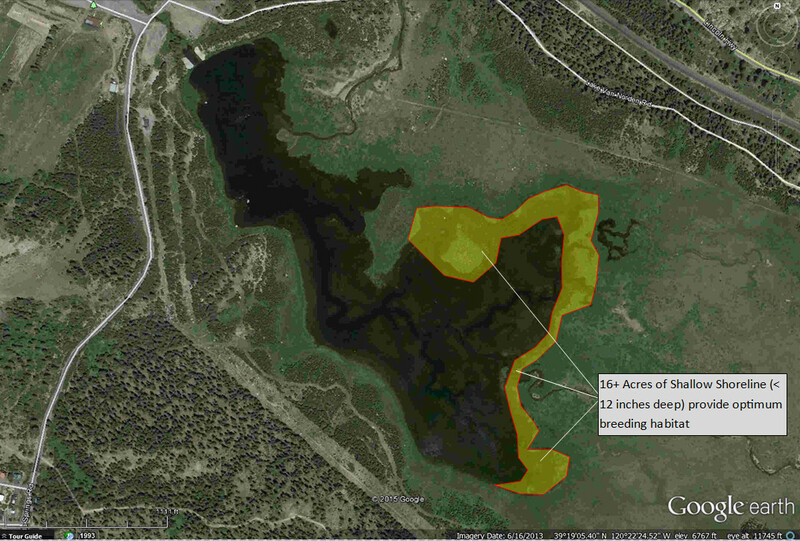 In a world where amphibian populations are decreasing everywhere, the wetlands of Van Norden Lake in the Donner Summit Valley are an oasis for the Western (or Boreal) Toad. Due to the unique shallow waters of Lake Van Norden there are over 16 acres of shoreline in the back bay that is optimum breeding habitat for the toads. The conditions are perfect and the toads take full advantage of them. Every spring right after the snow melts (April-June depending how heavy a winter) along the shore of the back bay of Van Norden Lake and the shallow waters are warmed by the sun, the male and female toads start their courtship. The smaller males will attach themselves piggy-back to the larger females to form a mating pair. The female will start laying eggs in long gelatinous strands and the male will fertilize them as the eggs are extruded (see video below). 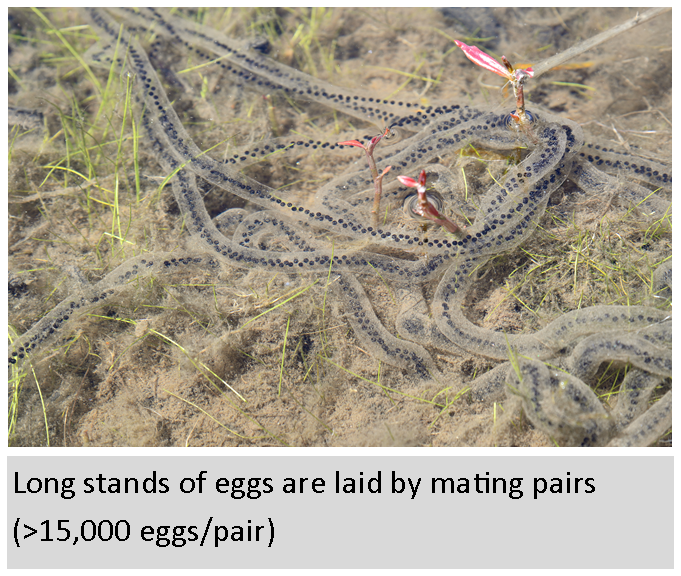 Each mating pair can produce up to 16,000 eggs. 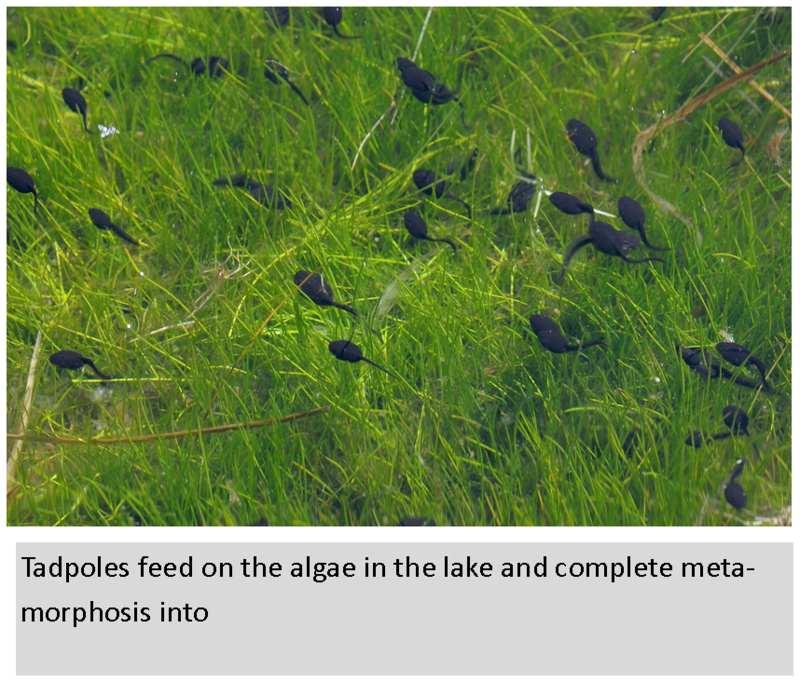 The young hatchling tadpoles emerge in 2-3 weeks depending on the temperature of the water and begin grazing on the rich aquatic plant and algae in the wetlands along the shore. 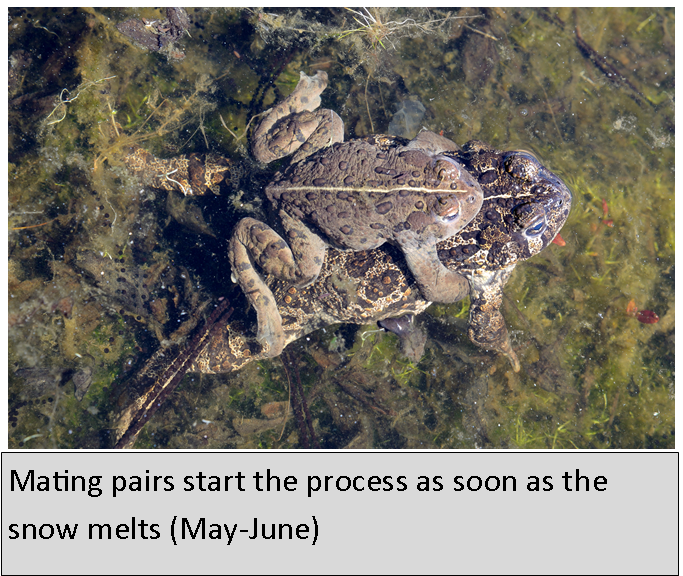 While many of the tadpoles are gobbled up by the fish and aquatic birds (including the White Pelicans), a large number will complete metamorphosis into young toads in the next 4-6 weeks. If only 10% of those eggs make it to young toads that is 160,000 young hoppers that invade Van Norden Meadow in the middle of summer. The meadow literally comes alive as the new amphibians leave the lake and invade the meadow in search of food. It is a sight to behold. Many of the young toads may fall prey to some predation but the toads do produce toxins in their skin that make them unpalatable to many predotors. As summer ends and the meadow dries out the surviving young toads will bury themselves in the mud at the bottom of the lake and hibernate through the harsh winter waiting for the next spring. 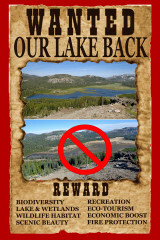 Unfortunately, if the plans to drain Van Norden Lake and the surrounding wetlands are carried out by the Truckee Donner Land Trust, this amphibian extravaganza will go down the drain with the lake. 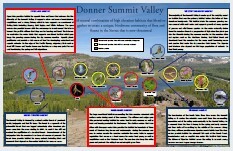 There will be no shallow water lake in the spring for the toads to lay their eggs in and the Donner Summit Valley will no longer be an oasis for the Western Toads. The valley will experience the same destruction of sensitive habitat that is currently going on throughout the world that has resulted in the drastic decrease in amphibian populations. A Toadal tragedy indeed.